My yoga practice was an integral part of my healing. Now, my time in the studio is to recalibrate and focus. There is so much to learn about yourself, every day is new. During flow, sometimes the spoken wisdom seems to hit your heart in just the right way. Last Thursday was such a day. All souls are bought to this world with a bowl of light, it sits in the center of your being and shines brightly with happiness and light. 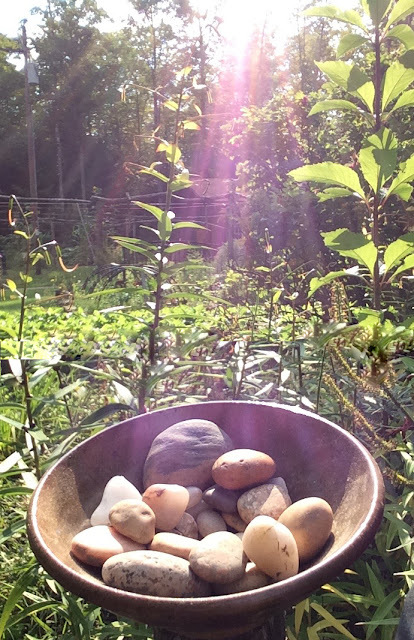 But as we continue on our journey, we start to collect pebbles, stones, rocks … in this same bowl. These rocks are misdoings, failed promises, unresolved conflicts, regrets and bad behaviors. Soon our bowl is full of rocks that snuff out the light. Rocks are not transparent or light. Rocks do not grow. They are heavy, so very heavy. 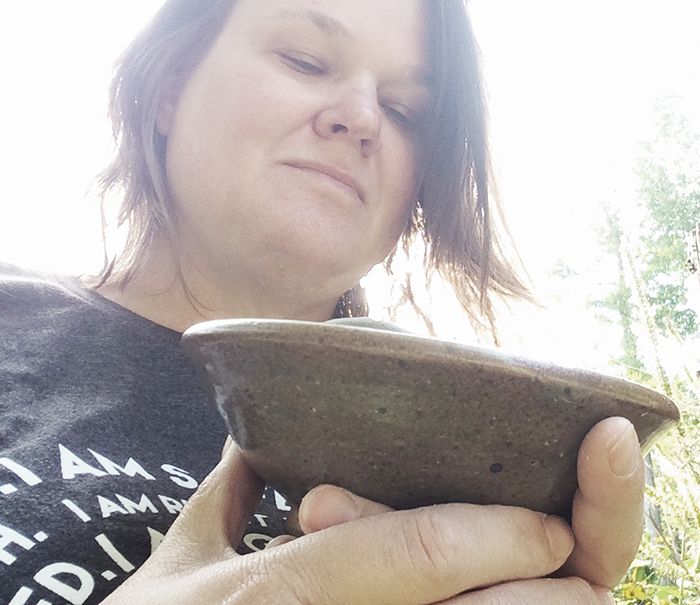 When they are to cumbersome to hold we want to flip over the bowl and start new. This is when the story teller stops, instructs us to lay on our mats. Savasana. Hands ease to your side, face up to accept light, complete relaxation pose. 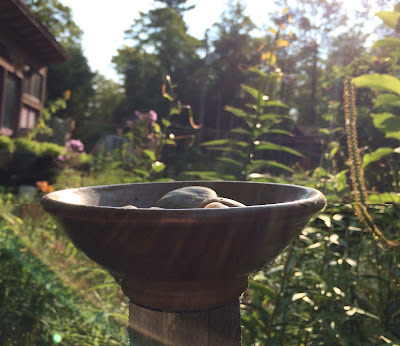 Being a visual person, my mind continues the story, feeling the relief of tipping over my make believe bowl, dumping out the rocks. Even throwing some. But all of a sudden I feel agitated at the thought. My mind starts to wander to the negative. These rocks cannot be dumped. In real life there are no do overs. You carry what you create… and sometimes it gets so heavy. I laying in my “complete relaxation pose” mentally and physically frustrated. The instructor pulls us back to the present. I feel the tenseness in my body, the unforgiving past and a body not as strong as I would like. I can feel I’m no longer doing my best. The instructor continues the story, which I thought was already finished. The bowl is ours to carry, we can not just tip it over, less we pour out the good and light also. The rocks make us who we are. We can only tend to them, clean them, polishing the outside, make the edges less sharp. Continuously mending and polishing each one. Some will eventually reflect light in the bowl and shine. Tend to your rocks, even find the strength to throw a few. so they no longer weigh you down with regret, but light a path with wisdom and understanding.